Are Piccadilly Puppets’ shows accessible? We want our audience and clients to be aware of ways in which we can help make our shows accessible to people with disabilities. Although we have don’t have much control over the venues where our programs are presented, we do what we can to make sure everyone can enjoy the performance or workshop. We will adjust seating to accommodate persons with disabilities, such as making sure that a person using a wheelchair has a good line of sight, or a child with a hearing disability can sit close to the front. Children with visual impairments are allowed to touch the puppets either before or after the show. We are willing to provide a sign language interpreter for a show, or an extra helper for a workshop if the budget permits; we need a few weeks’ notice for those kinds of special services. 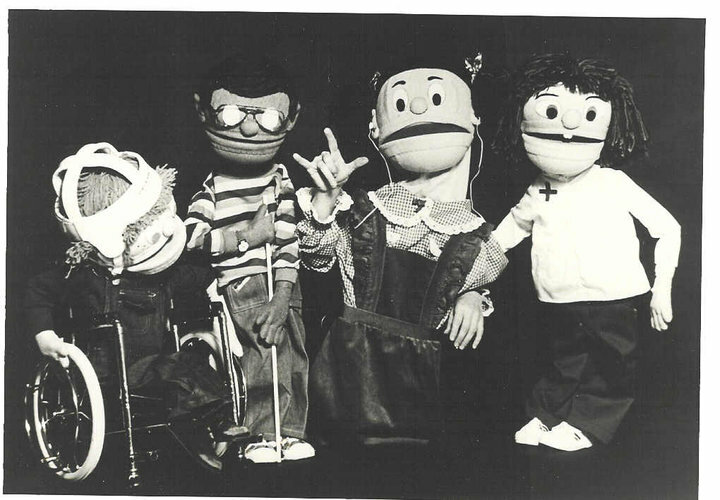 As presenters of Kids on the Block, an international program of disability awareness puppet shows, all of our puppeteers are sensitive to the needs of different populations and strive to make each performance a wonderful experience for everyone! Please contact us with any questions or special needs. Next postThe Monarchs are here!